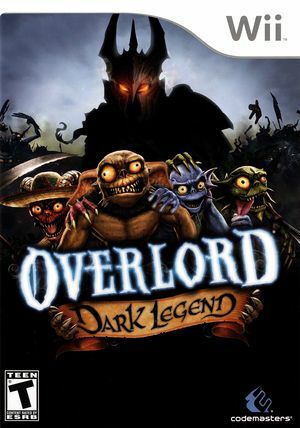 Overlord: Dark Legend is a spinoff of the 2007 video game Overlord, and is set as a prequel. The gameplay is similar to Overlord, but presents some differences. While the game does not have several features of the original game or its sequel, Overlord II, it offers some new content and a new gameplay style taking advantage of the Wii controller. Reviews of the game are mixed: praising the humor, story, and controls of the game, but finding problems with the animation, short game length, and lack of complexity or difficulty. Text in cutscenes and in game show missing letters, enable Texture Cache to position 1 to solve this. Refer issue 10705. The graph below charts the compatibility with Overlord: Dark Legend since Dolphin's 2.0 release, listing revisions only where a compatibility change occurred. This page was last edited on 24 January 2018, at 03:55.